This post is sponsored. All opinions are my own. 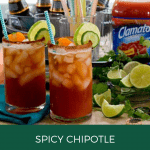 The best chipotle michelada ingredients include a dash of hot sauce, worcestershire, and Clamato. It’s still early in the season, but this is shaping up to be a great summer. Our backyard renovation is nearly complete, and I can’t wait to open up our yard to whatever gatherings happen to come along. When we lived in San Diego, we had a lovely backyard with a pool and covered patio which meant our house was the gathering place for friends, neighbors and dogs. You can bet that on any given weekend in the summer, we had plenty of guests who would drop by to cool off, have some snacks, or just catch up. It was never formal. It was rarely planned. But it was always a blast. 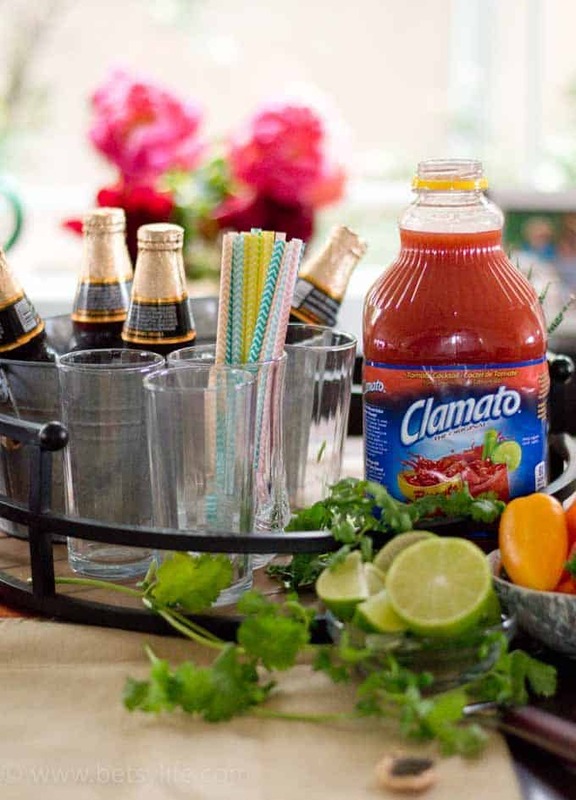 Every Friday after work, I would swing by Albertson’s and stock up on my weekend essentials; snacks, sunscreen, beer and Clamato®. 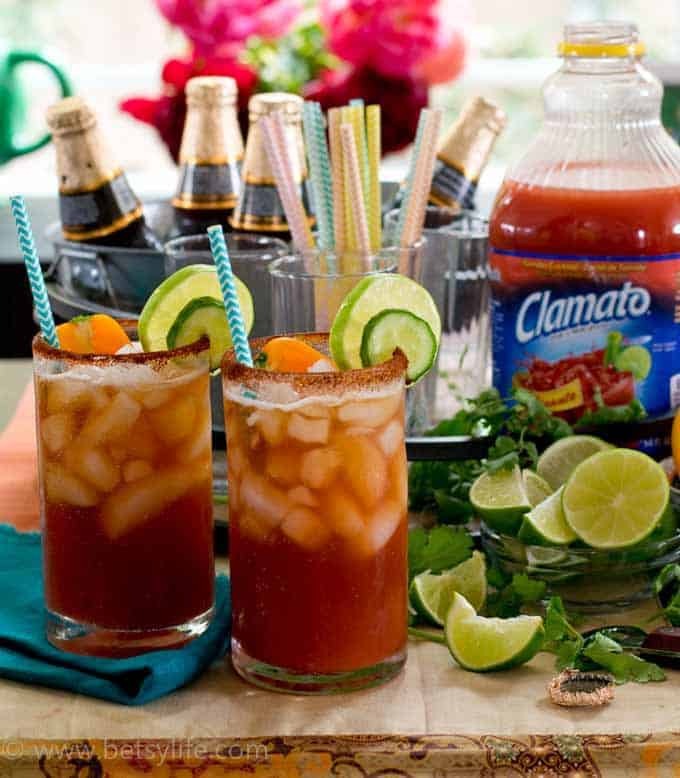 After all, when you live next door to Mexico, micheladas are your summer drink of choice. 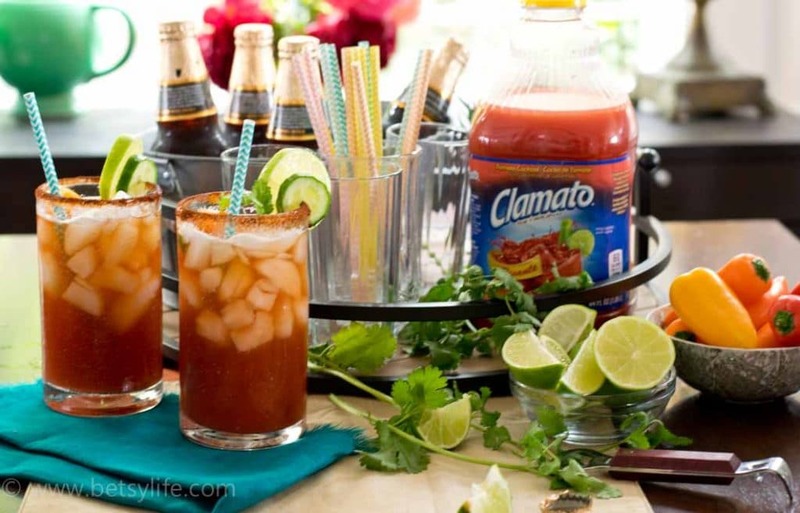 While many are familiar with a classic michelada (Clamato, beer, lime juice and hot sauce) I liked to serve mine as more of a DIY bar, with my signature drink being the chipotle michelada. Anyone who’s been reading this blog for a while knows that The Hubs wants everything he consumes to be burn-your-face-off spicy. While I like spice, I can’t handle his spiciness level, so I put out a variety of temperatures of hot sauces, chili peppers and spices so each person can make their michelada to suit their personal tastes. 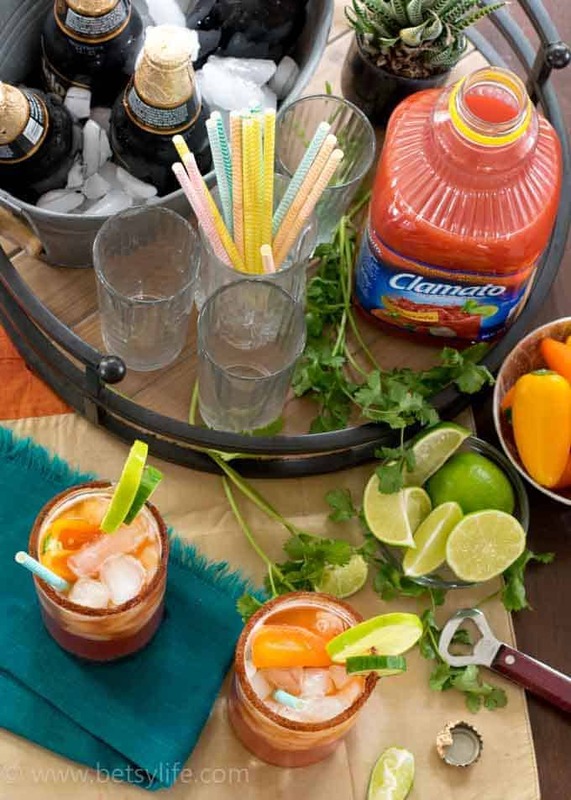 No matter if you add habanero hot sauce, or something milder, whether you garnish your drink with jalapeños or sweet peppers, everyone’s michelada starts with Clamato. With this kind of spread, you can imagine the number of varieties we’ve dreamed up over the years. 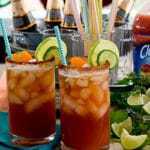 Some fan favorite recipes have emerged, most notably this smoked chipotle michelada. With its chipotle chili pepper lined rim, and the addition of a dark, rich beer, this cocktail is both satisfying and refreshing. Since relocating to Oakland, I’ve really been missing the impromptu gatherings I had become used to in San Diego. It took us a while to get settled and meet some friends, not to mention the backyard overhaul we’ve been working on for quite awhile. Now that we’re starting to get things straight in terms of our outdoor space, I’m looking forward to the warm-ish (this is Northern California after all) summer nights and sipping micheladas on my new deck! 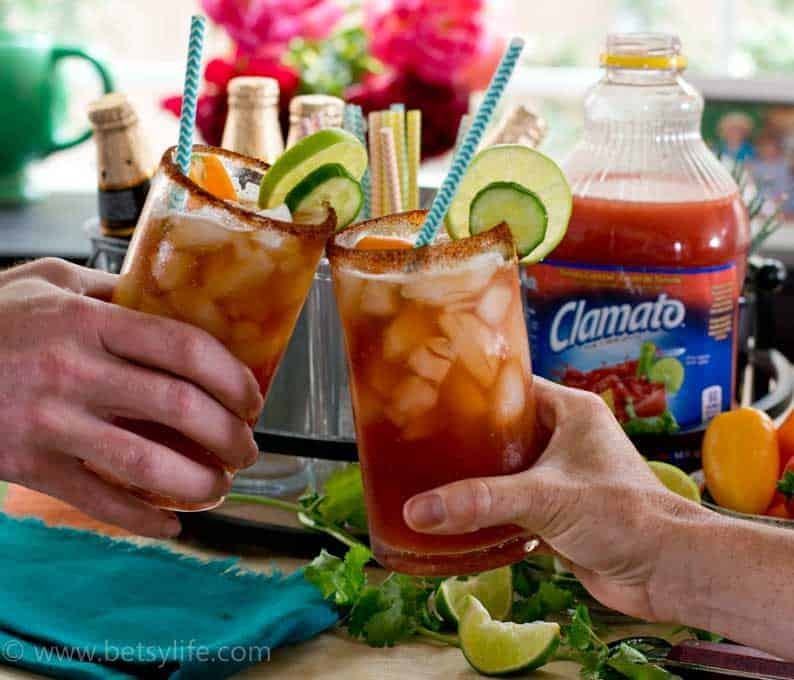 My new Friday tradition is stopping by my local Safeway store to buy weekend essentials including Clamato and all the chipotle michelada fixin’s! 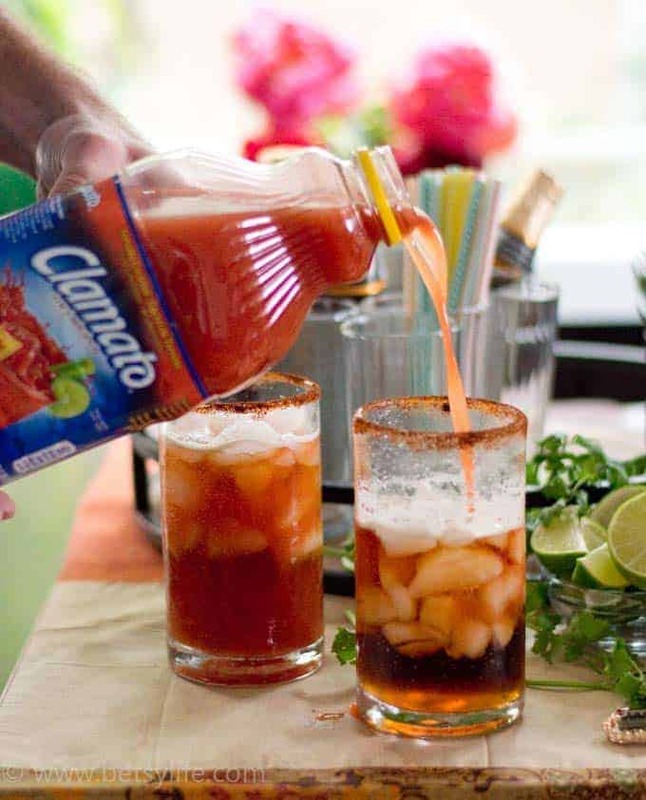 I’ll be interested to see if my new friends are michelada fans, and whether or not micheladas work to warm you in cool weather the same way they work to cool you in hot weather. It looks like I might be upping the spice factor this year! 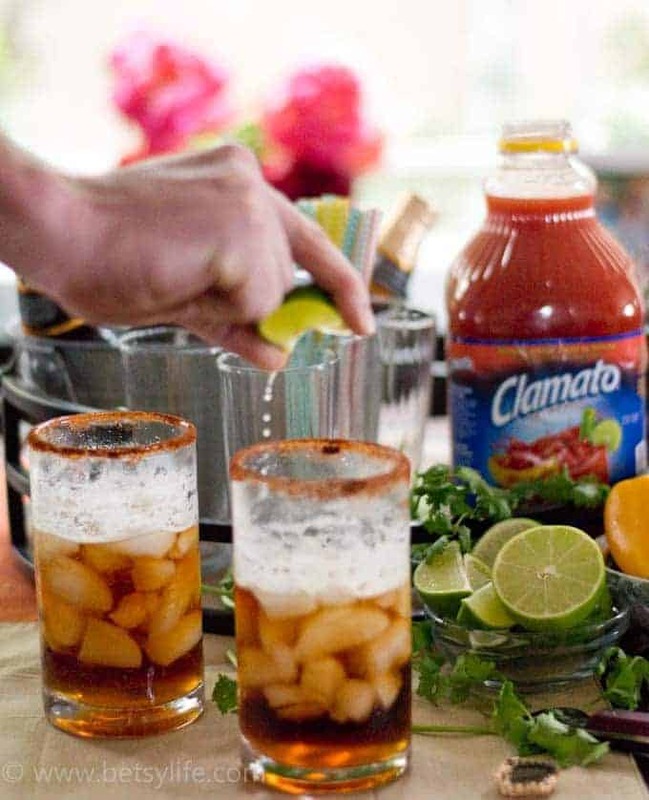 The best michelada ingredients include a dash of hot sauce and Clamato. The only way to enjoy this Mexican beer cocktail. Add chipotle chili powder to a shallow dish. Using a lime wedge, rub the rim of a glass to coat it with juice. Dip the rim of the glass into the chili power. Add Clamato, lime juice, hot sauce, and Worcestershire. Stir to combine. Top with dark, Mexican beer. Garnish and enjoy.